I’m off the tourist radar in Italian suburbia visiting my cousins in Sesto San Giovanni near Milan. 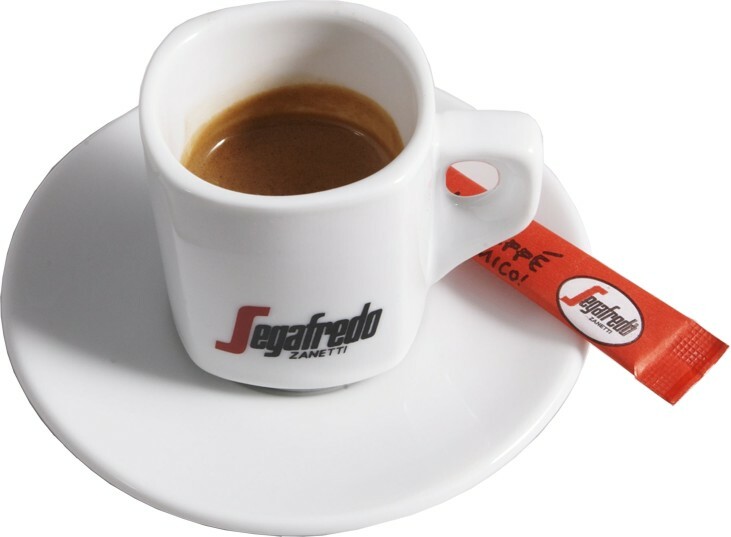 I order my morning espresso at the local coffee bar in a cup that is branded with a capital red S and the word Segafredo. Knowing un caffe’ in Italia means knowing more than Illy and Lavazza. Although Lavazza may be the most favored coffee in Italy and Illy not far behind Segafredo Zanetti is Italy’s leading food service brand. Founded in the 1970s, the Bologna-based Segafredo Zanetti popular in Italian coffee bars, is now red-hot worldwide with more than 600 Italian International Cafe’s. A Coffee Review article written up on the Coffee Talk web site gave Segafredo espresso a rating of 93/100 for “a straight shot extraordinarily syrupy and liqueur-like with a sweet aroma that reads as a sort of drunken brandyish chocolate and a complexity that ranges from sweet, pungent, molasses-toned tobacco to an earthy morel mushroom”. Two of Italian’s other premium coffee brands were also reviewed, Oro Premium Bar Blend (92/100) described as being “impressive in milk with a sweet-toned aroma and a musty fruit that suggests bananas, dark chocolate and raisins” and another Bologna-based company, Atibassi whose Espresso Italiano Crema di Oro with a “full slightly rough mouth feel and hints of nuts, cedar and chocolate” was rated 90/100. Not the coffee but the cafe’. In honor of Earth Day we’re posting a story about Slow Poke Espresso in Fitzroy, Australia where everything is sustainable, recycled and reused. From the timber to the tabletops, from the lamp shades to the tiles. 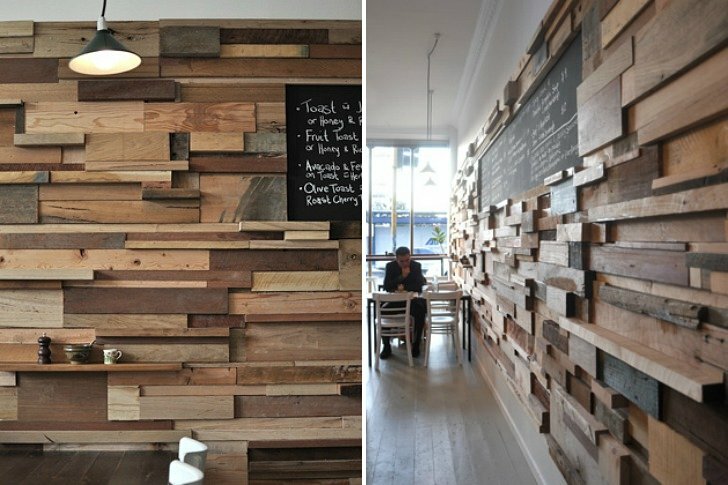 For this fully sustainable cafe’ less is definitely more. Italy again makes history with the world’s first solar-powered motorway adding to its remarkable resume of “firsts”. The Italian Achievement: An A-Z of over 1000 ‘Firsts’ Achieved by Italians in Almost Every Aspect of Life Over the Last 1000 Years is the title of a book written by Autoro Barone that indexes how achievements in art and design, food and fashion, from flying to photography, motor cars to musical instruments has made Italy a prime mover and shaker in the course of history. Building the world’s first motorway in 1924, the A9 Autostrada dei Laghi (Motorway of the Lakes) to link Milan to Varese, Italy makes more motoring history with the A18 Catania-Siracusa motorway, the world’s first solar-powered motorway. The 30km addition to Sicily’s 600km autostrade uses 80,000 photovoltaic panels to power all of the motorway’s energy requirements from tunnel fans, to lights, road signs and emergency telephones. It has been reported that the A18 will save 10,000 tons of CO2 emissions joining Italy’s smaller but similar solar road systems (the A20 in Sicily and the A22 in northern Italy), to make the carbon footprint of Italy’s boot a little smaller. Allora prendero’ un altro espresso per favore. 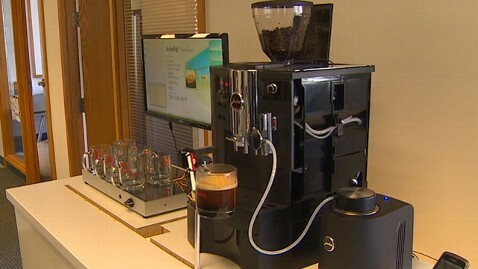 You can use your Smartphone to text your BFF, reserve airline tickets, check your bank balance and now brew an espresso! Using a Jura Impressa X90 machine and about 300 hacked up parts, the creative geeks at Zipwip, a Seattle-based cloud texting startup, have developed a system that makes an espresso by text. Designed to automatically brew un caffe’ via text message, the Textspresso system grabs a cup, grinds the beans and brews a custom cup of coffee waiting for you when you arrive. It can even print a latte art logo (with edible ink) on your cappuccino. However Zipwhip’s CEO John Lauer isn’t interested in creating a virtual barista saying “we’re not in the business of making Textspresso machines”. The reason for the project was to show the company’s cloud texting platform developing an app which allows users to receive text messages from their cell phone onto their computer. *\ 0 /* TXT4 Coffee.